Gemstones can add a lot of character and detail to any piece of jewellery (including custom rings) with their dazzling array of colours. They also come with various meanings and significance. This post will present a breakdown of some of the most popular gemstones. 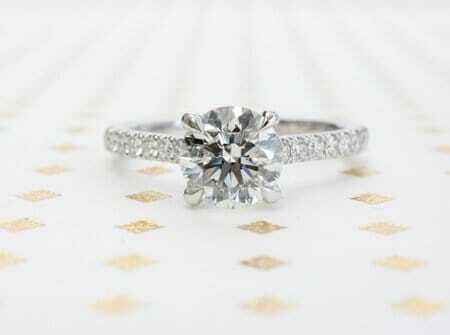 Diamond – The classic gemstone. Admired and worn by some of the most prominent people from many centuries past, this gem is the ultimate symbol of love and commitment. Measuring 10 on the MOHS hardness scale, it is the hardest of all the gemstones. This gemstone, formed over billions of years beneath the earth’s crust, comes in brilliant whites and every other colour under the rainbow. Some of the most rare and thus, most expensive fancy colour diamonds include: blue, purple and red. These rare beauties can fetch prices in the tens of millions of dollars. Sapphire – One of our favourite gemstones. Sapphire comes in a variety of colours including blue, orange, pink and more. The sapphire is an excellent choice for use in jewellery because it is very hard and not subject to scratching easily. Sapphire will wear much better then softer gemstones. The price of a sapphire varies based on the purity of it and the vibrance of its individual colour. Each sapphire needs to be evaluated on its own merits and beauty. Sapphires come in a wide range of cuts. Ruby – The signature deep, rich red of this gemstone is its defining characteristic. The deeper and richer the colour, the pricier the gem will be. Ruby is part of the corundum family, which is the same family as sapphire. Ruby gets its signature red colour from chromium. The most brilliant rubies are found in the famous valley of rubies of Myanmar. Ruby has the same hardness as sapphire. This means it is also a good choice for jewellery as it will stand up well over time. Emerald – A member of the beryl family of minerals, emerald shows a very beautiful green colour. This gem is softer then the gemstones mentioned above. It is best to treat emerald with care as it will wear over time. Emerald is expected to carry a deep rich green colour. 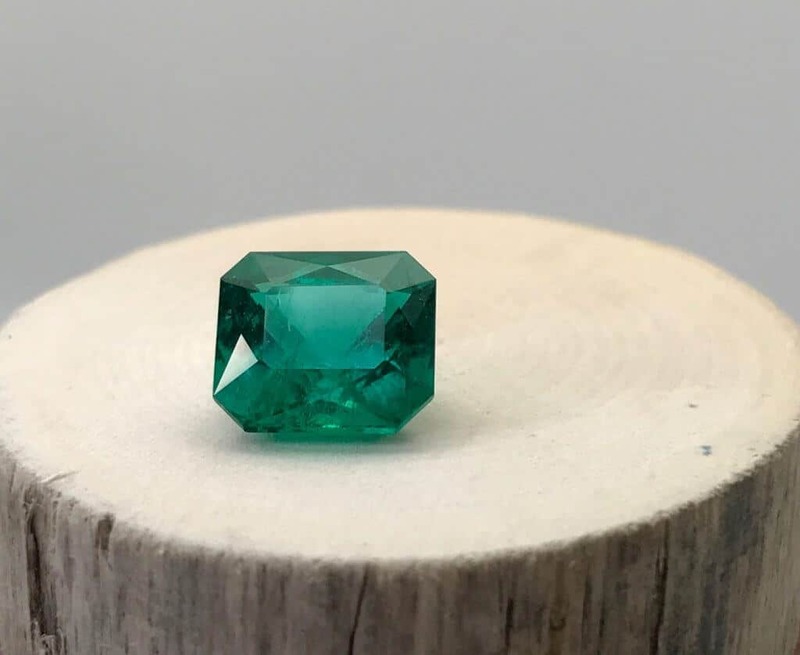 If it is judged to be too light, a gemologist will refer to it as green beryl instead. Thus, the deeper and richer the green colour, the more expensive the emerald will be. Emeralds are generally cut in a rectangular shape with a faceting style known as ‘step cuts’. The cut is referred to as the emerald cut. Pearls – Made with living things, this organic gemstone is born from a mollusk. Pearls come in many different shapes and sizes, as well as a large variety of colours. Natural pearls are born by mollusks, while cultured pearls are the result of a piece of mantle tissue or bead inserted into the mollusk through human intervention. The four types of cultured pearls are: Akoya, South Sea, Tahitian and Freshwater. Akoya is produced in saltwater in Japan or China. South Sea pearls are produced in Australia, the Philippines and Indonesia. Tahitian pearls are mainly found in Tahiti and the other islands surrounding French Polynesia. Freshwater pearls, as the name suggests, are cultured in freshwater. This is done in China and the USA. Pearls have a remarkable luster. Pearls are hard to judge in terms of their value, so it is very important to go to a trustworthy jeweller for advice and selection. The world is filled with many wondrous and lovely gems. They come in many shapes, sizes and a dazzling array of colours. They have a large variety of attributes which makes each one unique and something to be cherished.